BT SKI ACTION is an Intercom system conceived for every outdoor activity; it is suitable for leisure users who want to enjoy the Bluetooth communications or music while practicing their favorite sports. BT SKI ACTION is provided with the small and practical Bluetooth device BT SKI ACTION and two different kits included in the packaging that allow to wear the BT SKI ACTION as you want, with or without the helmet. It doesn’t matter if it is winter or summer time, just wear it and go! 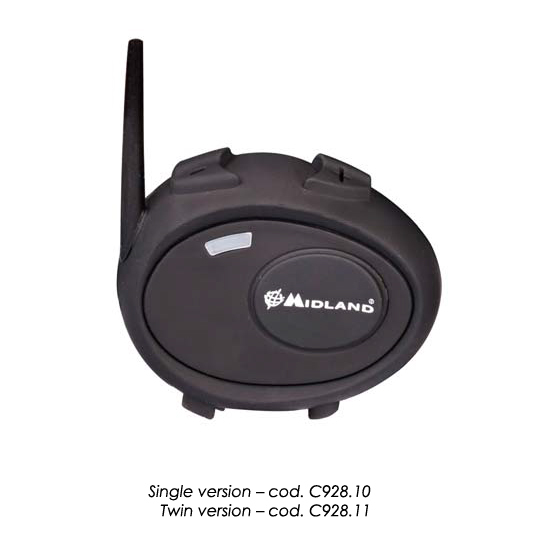 With Midland BT SKI ACTION you can talk in intercom mode with another Bluetooth device up to a max distance of 200mt; besides you can answer your mobile phone using the voice activation, without any distractions or having to stop. Besides, Midland BT SKI ACTION is fitted with a plug that enables it to be wired to an iPod/MP3 player and/or to a PMR446 transceiver allowing communications amongst various users (using the optional PMR446 cable). This is perfect for group teaching! 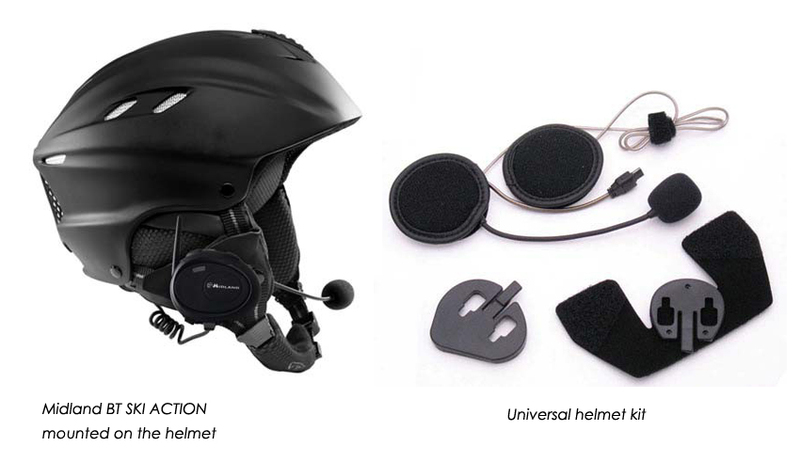 Thanks to the supplied ‘Universal helmet kit’ you can wear your BT SKI ACTION with both rigid and semi-rigid ski helmets: it is provided with a practical audio kit composed of two ultra-flat high performance stereo speakers and one microphone with boom. BT SKI will be placed outside the helmet using the functional Velcro band or mounted on the bi-adhesive clamp on the rigid surface of the helmet. 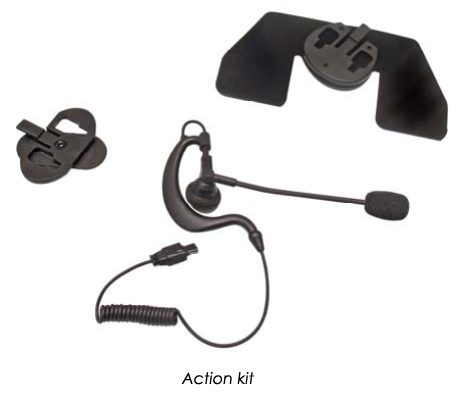 The supplied ‘Action kit’ – composed of an earphone and boom mike – is the ideal solution for all those sport activities that do not require the use of helmet or for helmets for summer sports. BT Moto Audio Kit cod. C933 Stereo headset with 2 microphones ( 1 with a bracket and 1 wired) and two installation brackets (1 bi-adhesive plate and 1 clamp). This kit allows you to use your BT SKI on the bike as a BT CITY/BT EVA. Kit 165 with PTT to connect your BT SKI to a 2 PIN transceiver (BT312+BHS300U) for Midland G6, G7 series, G8, G9). Kit 129 with PTT to connect your BT SKI to a 1 PIN transceiver (BT312+BHS301) for Midland 777, Midland G5 e G5 XT. EMERGENCY CHARGER code C920 portable charger for BT line. This entry was posted in Blue Tooth Communications, Telecom and tagged avera, avera - avera bv - avera distributing - avera the netherlands, blue ray intercom, BT SKI ACTION, midland. Bookmark the permalink.